In smart school there are extracurricular activities like art and craft, physical education and games, inter-school and regional competitions, educational trips, newsletters and magazines, clubs and societies all come together for an enriched student life. Here I would like to tell you the Smart School All Campuses and Branches Details Address and Fee. 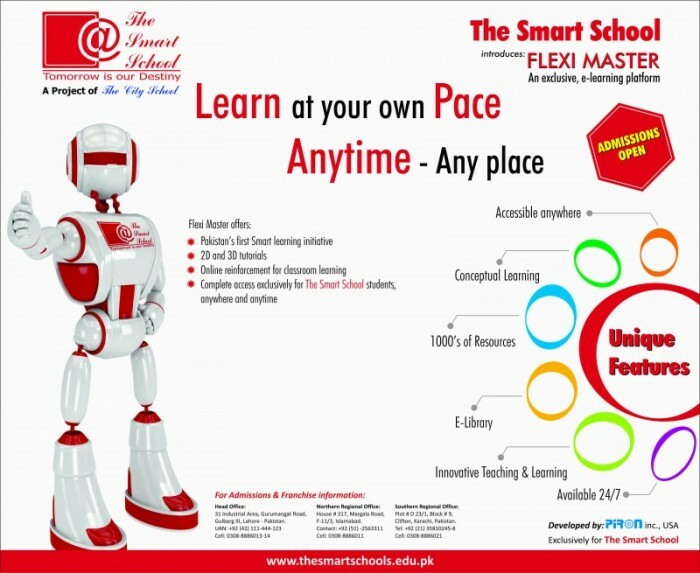 Al-Aleem Campus Karachi C-25 Block D North Nazimabad Karachi 021-36630337 / 021-36630522? Have you any vacancy in adminstration side for Gulistani-e-Johar. Can I know that with which board smart school is affiliated ??? Federal or mirpur?? ?